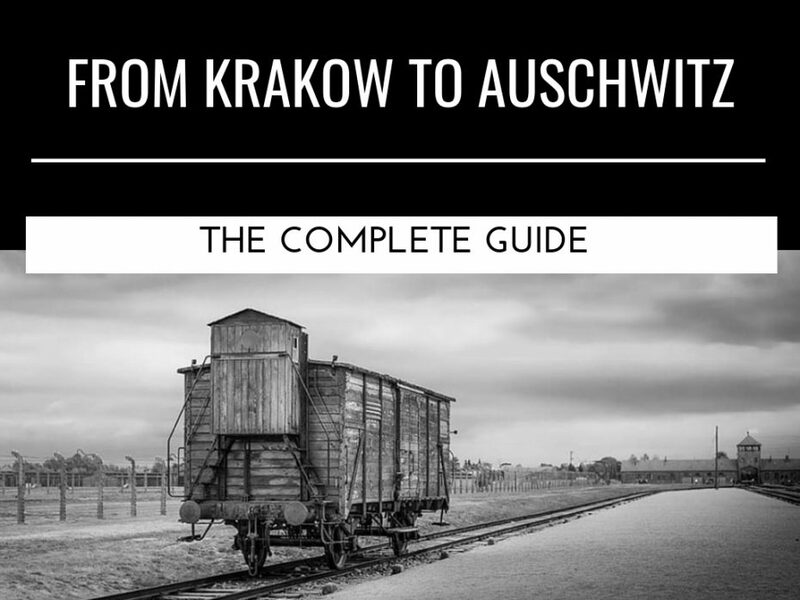 Blog VISITING AUSCHWITZ - BIRKENAU FROM KRAKOW: All You Need To Know. 6 | How long does it take to visit Auschwitz? “Is Auschwitz really worth visiting”? These are just a few of the many questions I have received during the years via email and comments, after I literally poured my heart out by writing about my experience of visiting Auschwitz on the 2nd of September 2015. I wrote that blog post almost immediately after my visit, and it’s more about the emotional side of the experience, the numbness, the emptiness of that place. 1| TAKING PICTURES IN AUSCHWITZ – BIRKENAU: SELFIES & THE “DARK TOURISM” DILEMMA. 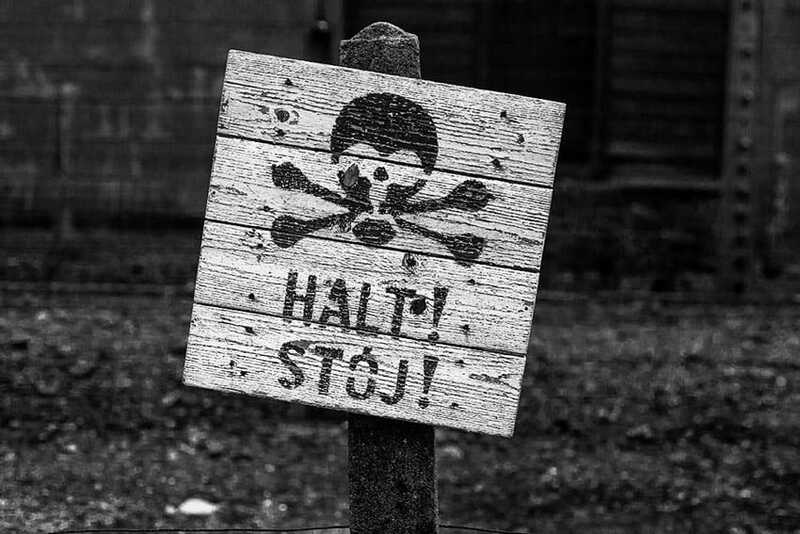 Sign at Auschwitz I to stop people getting too close to the electric fences. People and journalists label this kind of trips (including Auschwitz) as “Dark Tourism“. Personally? I HATE THIS LABEL. Not sure why, but to me is a way of saying that we are “commercializing death”. Auschwitz, as I see it is NOT a touristic place at all. Yes, there is obviously a “business” behind it. Organized tours, fees to pay and so on, but ultimately, they are just means to an end. People should go (independently or with organized tours) not because they are casual “curious tourists”. In that case, I would highly recommend them to stay at home or imagine for a second to have lost a dear one, or their entire family in that place. The majority of the people I saw while visiting the concentration camps were not there to see a place where millions of innocent souls were killed just out of morbid curiosity. That would be just … wrong. Visiting Auschwitz is so much more than that, and you (hopefully) will realize it as soon as you’ll set foot in that damned place. If you visit with the right mindset, your life will never be the same again, you will learn a lot and see with your own eyes (probably without understanding it completely) what men are capable of doing to each other. That’s WHY IT IS SO IMPORTANT TO VISIT AUSCHWITZ. I can’t even comment on this photo. Unfortunately, if the Nazi were capable of such atrocities, it will come as no surprise that some people actually go to these places and lightly take selfies in front of the victims’ hair or in the gas chamber at Auschwitz I. I witnessed such appalling behaviors and I talk about it on my article of my own experience. When I decided to finally visit Auschwitz, I thought about whether bringing my professional camera to the site or not FOR DAYS. I wondered if it was the right choice to take pictures in there, but then I realized that by taking those pictures, I wanted to try and convey the pain and suffering that went on in there. The thought of being in the photo didn’t even cross my mind. What would be the purpose of splashing my face in a photo with a background of horror and pain? When we insert ourselves in a picture, that picture becomes a “souvenir”. 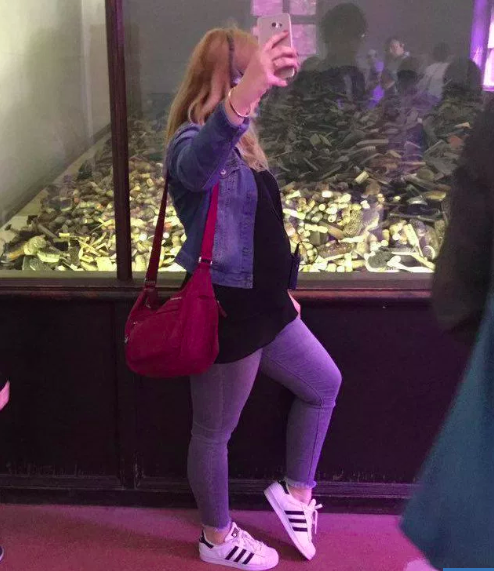 And there is nothing more wrong than taking a “souvenir” photo at Auschwitz. If you must take a picture, do it with a more noble purpose, maybe to remember how you felt (even if I can assure you, there is no need to look at a picture to go back to that place in your mind, but at least you are no disrespecting the victims and their families). Look at it this way: How would it make you feel if you had lost a dear one and a bunch of idiots were taking smiley selfies in front of the grave of that person? Enough said. 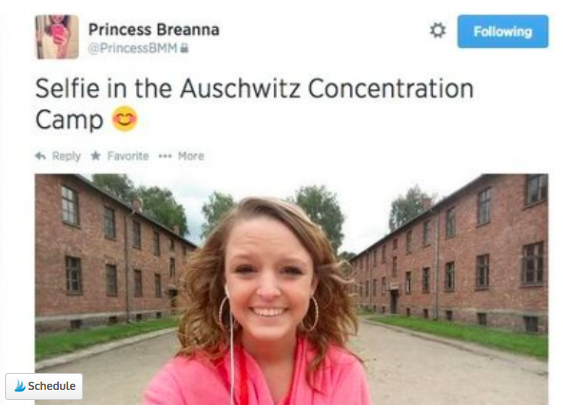 Needless to say, going to Auschwitz to take a smiley selfie is NOT the reason you should be there. I feel ashamed for these people and I wish there was a way to give a massive fine to them. This way, the word “Dark Tourism” would maybe have a totally different meaning, even if I doubt I would ever change my mind about the wording used to describe why people should be visiting these places. One of the many controversial selfies taken at Auschwitz. I personally find it completely disrespectful. In the cellars of Block 11, called by prisoners “The Block of Death”. In the cellars, there was the camp detention house. In the area of the security check of visitors and their hand luggage. I decided to embed this video of people laughing and taking selfies at Auschwitz because it’s truly horrifying. If you go there please, REMEMBER WHERE YOU ARE AND SHOW A LITTLE RESPECT FOR ALL THE SUFFERING THAT WENT THROUGH IN THERE. Selfies are allowed, but discretion must be used at all times. I personally don’t recommend taking selfies in any circumstances, as a sign of respect to the victims. This is even more important in the forbidden areas (I saw people taking selfies when no one was looking) and also in the only crematorium still existing in Auschwitz I). You can’t use the flash or tripods inside the units in the museum. PLEASE NOTE THAT ALL THE OTHER CHAPTERS ARE STILL MISSING AS I’M WORKING ON THE LAYOUT OF THE ARTICLE RIGHT NOW. THANKS FOR YOUR PATIENCE.